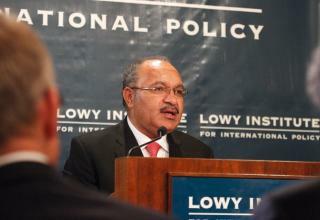 On Thursday Thursday 14 May 2015, the Hon Peter O’Neill, MP CMG, Prime Minister of Papua New Guinea, delivered an address to the Lowy Institute. In his address, Prime Minister O’Neill reflected on Papua New Guinea’s place in the world as it celebrates 40 years of independence from Australia in 2015. He examined PNG’s opportunities for improved GDP growth, its development challenges and the expected completion of major infrastructure projects. The Prime Minister also discussed PNG’s forthocming hosting of the Pacific Islands Forum leaders’ summit, the Pacific Games and APEC. He also commented on PNG’s relationship with Australia, including the Manus Island refugee processing centre, as well as PNG’s plans for Papua and West Papua. Thank you, Dr Fullilove. Member of the Diplomatic Corps, Business Leaders, Ladies and Gentlemen. It is a pleasure to be invited once again to address the Lowy Institute for International Policy. I want to begin by strongly affirming our support for the wide-ranging and very contemporary role the Lowy Institute plays in Papua New Guinea, and the wider Pacific. Your role focuses on expanding issues including people-to-people relations, which I see as being the heart of the relations between countries in the region. This afternoon, I would like to give you a better perspective on the some of the domestic policy advances that we are making Papua New Guinea which is bringing about change and stimulating development in our country. Then provide you with insight on how we are growing regional and international role, including management of the foreign policy engagement with Australia and neighbours in the region. Ladies and Gentlemen, Papua New Guinea is entering a period of change never experienced before. There are many contributing factors to this change. In large part, this can be found in the growth of our economy, the expansion of the middle class with new employment opportunities, and increasing disposable incomes that further feeds business growth. As a result there is a renewed hope and confidence amongst our people about the future of Papua New Guinea. This year, 2015 in particular, is a defining year for our country continues to chart our future. This year of course we will celebrate 40 years of independence, and this is significant as we reflect upon our past and as we implement our plans for the years ahead. It is fitting that this milestone year for us, is a year when the reforms that we have been implementing as a Government over the past 3 years can be seen to be taking root. We are now more than halfway through the current Parliamentary term and year our Government is taking stock of progress we took to the elections in 2012. The core policy measures that we announced in 2012 were simple in their design but they are very effective in enhancing the lives of our people. We are seeing our substantially increased investment in Education at all levels including fee free education policy gaining acceptance through out the country. Now we see 2 million children in school, which is nearly double the number from when we introduced the policy. This increase has placed pressure on student-to-teacher ratios and number of classrooms and other infrastructure in schools throughout the country. The Government has increased investment in teacher training facilities and is constructing additional educational infrastructure. In the area of healthcare, our Government has increase spending to unprecedented levels as we deliver on our commitment of free universal healthcare. Expenditure on healthcare in the 2015 budget was close to two billion Kina. We are seeing realistic delivery of health services both to urban and rural communities. One of our other priorities was to improving law and order in our country. This is essential for us to move Papua New Guinea to the next level of development and prosperity. The Government is spending considerable resources to modernise and better equip our police, judiciary and corrective services. Australia is providing well-received support in this area – particularly with the partnership program we have with the Australian Federal Police. We would like to take this program to the next level to extend placement of our police personnel not on under a training arrangement, but in line positions within our own police force rather than an advisory role. The fourth pillar of our policy program is revitalizing infrastructure development in our country. Our Government is investing substantial amounts of money in rebuilding neglected infrastructure in our country. We are building new roads, bridges, airports and seaports, and the public buildings that are required to deliver public services. Papua New Guineans are seeing changes and they are noticing that change. Importantly, we are doing this not only in the larger urban areas, but also in remote rural areas. We are, for example, building communications towers in remote areas so that we can have at least village-based access to the mobile telephones and the Internet services. Our increased budgetary allocation to the districts and provinces are starting to produce positive outcomes both in terms of delivery of government services and infrastructure development. Communities that did not see presence of and government in the past 40 years are seeing government today. Ladies and Gentlemen, We also recognise the important leadership role that Papua New Guinea has in the Pacific Island communities. It is important that we use our experience, as the biggest Pacific country, to provide linkages and support our Brothers and Sisters in the region. Papua New Guinea is now providing direct support to our regional partners in strengthening their economies, building infrastructure and investing in increased trade. We have allocated 300 million Kina over five years and we are investing in these nations. We have targeted areas like climate change, infrastructure and governance issues, and recently in Fiji we invested heavily in the conduct of the elections. We have invested in infrastructure in Vanuatu, we given budget support to the Solomon Islands. Papua New Guinea is engaging through multilateral forums to bring about change and reform in our region. Two of the most important being the Pacific Islands forum as a means for direct regional engagement, and APEC to link the Pacific Islands to the broader Asia-Pacific community. The Pacific Islands Forum remains the premier process for advancing Pacific Island economic development and cultural exchange – it has been for 43 years and it will continue to do so for decades to come. The Forum not only provides an important opportunity for Island nations to share views, but through the Post Forum Dialogue we are able to engage as a group with important development partners including China, Japan, the United States and the European Union. We are all aware of ongoing background discussion relating to membership of the Pacific Islands’ Forum. As far as Papua New Guinea is concerned there will is no requirement for a change in the structure of the membership. As incoming Chair of the Pacific Islands Forum, I am inviting the Leaders of all Member States to attend our meeting in September in Papua New Guinea. The only way to play a part in the evolution of the Pacific Islands Forum – that is to take your seat at the table and speak direct to fellow leaders. As the Chair, we will lead a comprehensive agenda that will seek to better unite businesses, increase labour mobility, improving defences against climate change and strengthen cultural and trade relations within in our region. Ladies and Gentlemen, This year will also brings about a great opportunity to engage the Melanesian people of Indonesia with the Pacific Islands countries – this process is beginning with the Melanesian Spearhead Group. This is one of the most sensitive issues in our region today – and Papua New Guinea is engaging in a constructive manner with our friends in Indonesia – with respect and a shared sense of purpose. This week, President Joko Widodo and I had the opportunity to share our views on issues relating to the Indonesian provinces of Papua and West Papua. Discussion of these sensitive matters between our two countries is not new – but we are doing so with more frankness. This is not a discussion about sovereignty – but is about a shared desire to ensure that there peace, stability and development for Melanesian people in Papua and West Papua. In our meeting this week, Papua New Guinea has pledged its support for Indonesia to apply for an associate membership of MSG. This application is now in the hands of our Melanesian nations to decide. If this application is accepted, MSG will welcome a delegation agreed by the Governors of the five Melanesian provinces in Indonesia to attend Melanesian Spearhead Group meetings. This will be historic and a new level of engagement and opportunity for economic and cultural relations with more than 11 million Melanesians in Indonesia. Together with the rest MSG countries, Melanesian people exceed the total population of Australia. This is not insignificant population and their welfare and their wellbeing is of paramount importance to Papua New Guinea. 2015 is a significant year for Papua New Guinea’s engagement, in both an economic and cultural context, and it is part of a very busy events schedule for the nation. 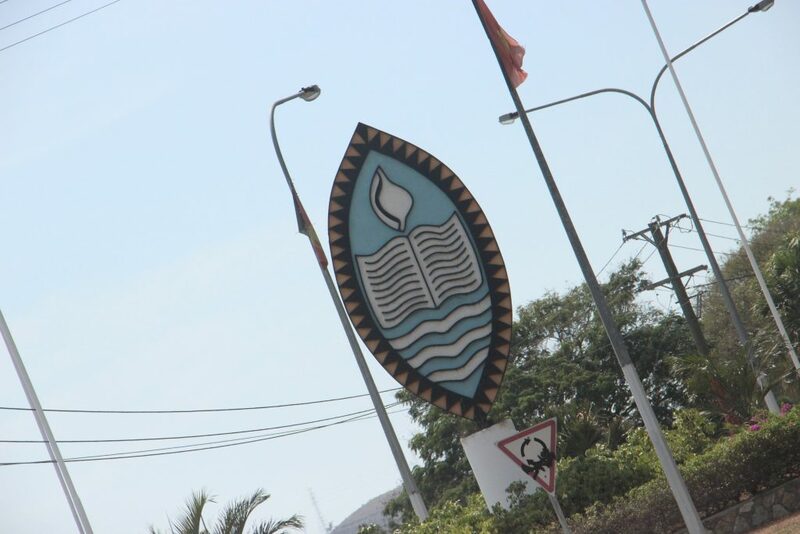 Most notable in the coming months we will be hosting the 15th Pacific Games in Port Moresby this July. We are anticipating that this will be the most memorable in the history of the Pacific Games. Hosting the Games has provided an opportunity to focus on a good deal of the infrastructure upgrade that is underway in Port Moresby and throughout the country. We have included almost 2.5 billion Kina worth of road infrastructure development all throughout the nation today. More major sporting events are planned for Papua New Guinea in the coming years, a highlight of which is the FIFA U-20 Women’s World Cup in 2016. Teams from 16 countries will be take part in the tournament that will take place in stadiums in Lae, Kokopo and Port Moresby. The largest of the upcoming events is the APEC meeting that will take place in 2018. The APEC Leaders’ Summit is scheduled to held in Port Moresby on 17-18 November in 2018. Hosting APEC is an enormous logistical and policy challenge, with an anticipated 200 APEC related meetings due to take place in Papua New Guinea before the summit. Planning has been underway for some time and we are on track. At the policy level, the APEC Secretariat is coordinated out of the Department of Prime Minister and National Executive Council. In terms of logistics, Parliament approved the creation of an APEC Coordination Authority that is now in place. The Authority is laying the foundations for logistical requirements and related budget projections to deliver an effective APEC year. We are also working in consultation with our partners, especially Australia, in security related capacity building and training which will make sure we have a very successful APEC meeting. Papua New Guinea also continues to strengthen relations and partnerships with APEC members at a bilateral level. 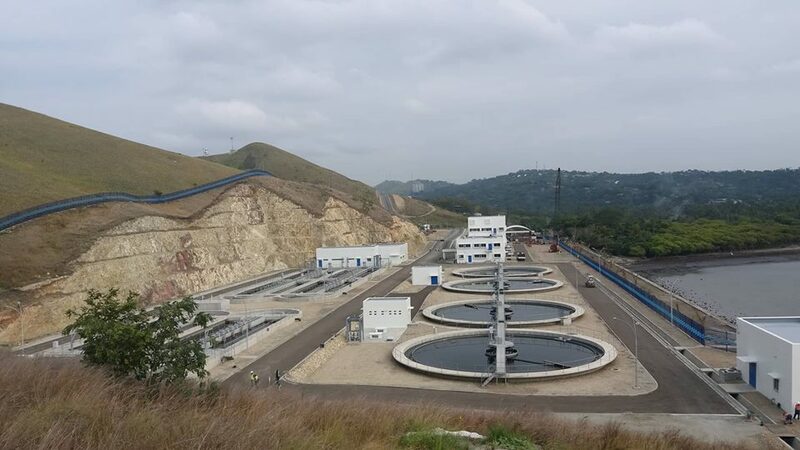 This is particularly the case with the Peoples’ Republic of China and Japan – as major players in the global economy and key destination for Papua New Guinean exports including LNG. Ladies and Gentlemen, An issue that been the subject of discussion relates to the operation and future of the Regional Processing Centre. 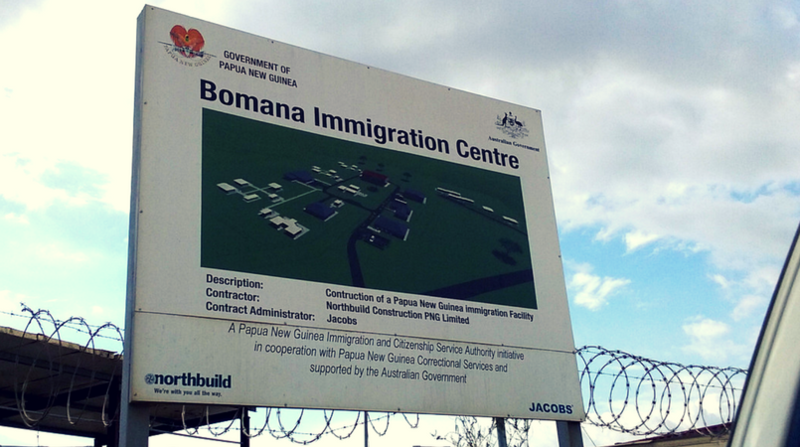 Papua New Guinea has played an important part in stemming people smuggling in our region. This dangerous trade has cost countless lives lost at sea. We are now facilitating the processing of refugee applications. To date, 129 applicants have been deemed to be genuine refugees and are being offered the opportunity to live in Papua New Guinea. Over 400 refugees have voluntarily left Papua New Guinea. 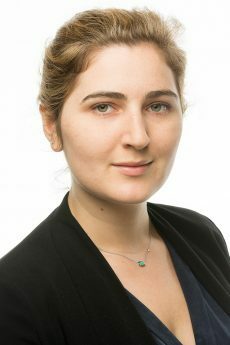 There has been criticism at the time taken to transition refugees from Manus to their new lives is taking too long. We have an obligation to explain this to Papua New Guineans, and to the refugees, as they make this transition so the can be included in our communities. There has been so much negative news about the Asylum Seekers in Australian, which is then rebroadcast in Papua New Guinea, that there is concern about refugees coming to live in our communities. Our Government has the job of explaining that to our people and the genuine refugees will be welcomed by our people in their respective communities. We are currently undertaking extensive public awareness and stakeholder engagement in areas where refugees will be resettled. This is done to remove the stigma that has been established. It is also important that refugees are taught our language and our cultural so that they are aware of their obligations when they live within our communities. We are confident that these refugees will bring skills and experience that will be of value to our nation building, will be resettling them very soon. Ladies and Gentlemen, In September we will celebrate four decades of Independence in Papua New Guinea. Our bilateral relationship with Australia is in very good shape, probably in better shape and more harmonious than at any time since Independence. We are told that the Australian Government will reduce development assistance to Papua New Guinea by around 5% in the 2015-16 Australian budget. And, we do understand the budgetary constraints faced by Australia, and we will sit down and work with the Australian Government to reprioritise the development program. However, in Australian budget documents we were shocked to learn that the Australian Government plans to establish a diplomatic post on Bougainville. As we all know, Bougainville is an integral part of Papua New Guinea and there are clear historical sensitivities around Bougainville that must be appreciated. 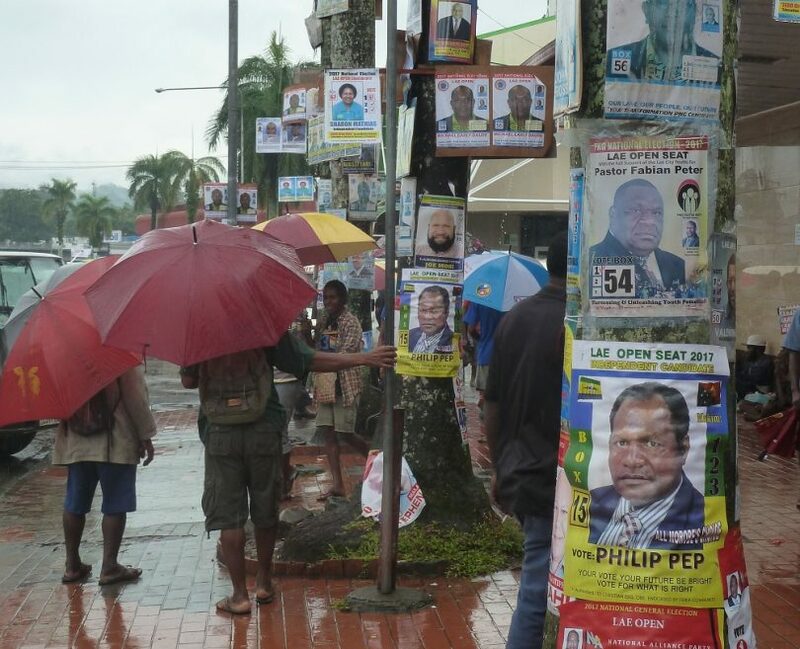 Especially the sensitivities that are on Bougainville when there is an election going on. I want to say that there has been no consultation on this proposal and there is no agreement to proceed. As we respect territorial integrity of others, we expect other to respect us as well. Next week I will be speaking at the annual gathering of Papua New Guinean and Australian business councils in Lae. I will be using that opportunity to make suggestions on how we can address some of our bilateral relationship issues, but more importantly on strengthen our business, investment and trade relationships. In summary, our wide ranging relationship is in good shape – but it must never be taken for granted, especially as we celebrate four decades of what has been a harmonious, and I believe mutually beneficial, association. Ladies and Gentlemen, The future of Papua New Guinea is very bright, there is great expectation on the part of our people, and from the international community. We are moving on from the past and embracing the opportunities of the future. Through hard work and determination, we will continue to build a strong Papua New Guinea. I thank you for your partnership, and I thank your for your attendance today and thank you for your interest in the development of our nation.